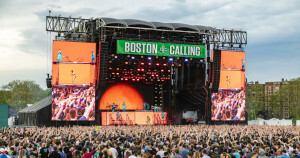 Boston Calling Music Festival is a two-stage festival featuring some of the biggest and best acts in live music. This year the event will take place at the Harvard Sports Complex in Allston, MA. The event will be one big party with even easier access to the stages, a wide variety of food, services and more. All ages are welcome and children under 10 are free. Boston Calling is a rain or shine event. Main Entrance is located at 65 N. Harvard St., Allston, MA and we highly recommend taking the T (Red Line) to the Harvard Square station. From there it’s an easy 10 minute walk to the main entrance.